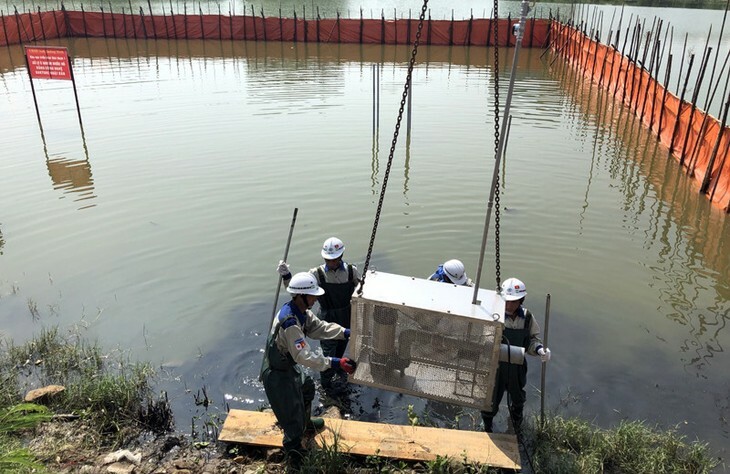 For the past two weeks, the engineers of the Japan-Vietnam Environment Improvement Company have tracked water treatment at Hung Thang equalizing reservoir using Bakture powder. Hung Thang reservoir is near Ha Long Bay. Bakture powder is made from natural materials such as pumice stone that help the environment clean itself by maximizing decomposition of contaminants and harmful substances by beneficial microorganisms present in the environment. The product has been patented in Japan and recognized by international organizations. The technology has succeeded in cleaning up 300 contaminated sites in Japan and has been introduced and tested in Laos, Indonesia, and Thailand. In Vietnam, Bakture powder was used effectively at Hạnh Phúc Lake in Hai Phong last year. Mass fish deaths had occurred in lakes near Ha Long Bay, causing serious environmental pollution. Levels of dissolved oxygen, microorganisms, and ammonia were higher than accepted standards, due to unprocessed household wastewater being discharged into lakes and into to Ha Long Bay. Tran Van Tuyen, a representative of the Japan-Vietnam Environment Improvement Company, says after a year using the Japanese technology, the quality of water of the 900-square-meter Hung Thang reservoir has measurably improved. “I can say that the smell of foul water has disappeared. The wastewater no longer has a mossy color and there is no more excessive plant growth. We have sent water samples to the Ministry of Natural Resources and Environment,” Tuyen said. Pham Thi Huyen, who lives close to Hung Thang reservoir, said that recently the pollution level has significantly dropped, which is noticeable on hot, muggy days. “Since the water was treated, fewer fish have died. Pollution has been decreasing recently. I hope the reservoir will continue to be treated so that we can have a healthier environment,” Huyen said. The Bakture technology is used to treat water in Hung Thang reservoir, Ha Long city. Experts say the current water treatment is only a band-aid solution because lakes and reservoirs continue to receive wastewater discharged by residential areas. It’s necessary to deal with the root cause of the pollution in each locality. Currently, 4 wastewater treatment stations in Ha Long City are capable of collecting and treating only 40% of the total sewage. The rest is directly discharged into lakes or into Ha Long Bay. The wastewater systems of many new residential areas haven’t yet been connected to treatment stations. 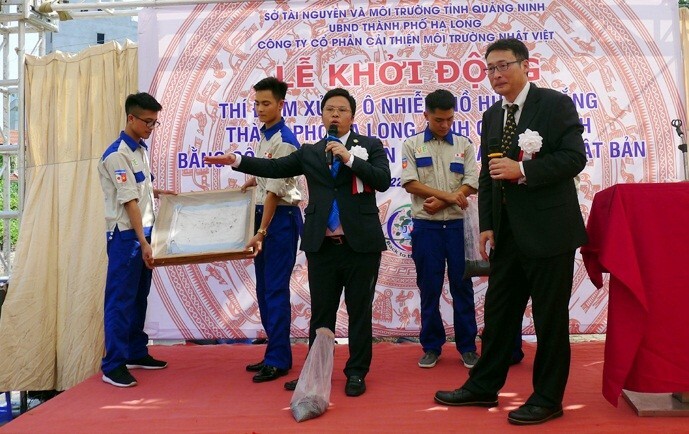 Mr. Cuong said Quảng Ninh is trying to secure ODA loans from Japan for a 150-million-USD wastewater treatment project to rebuild wastewater collection and treatment system and stations in Ha Long city.